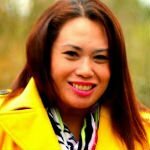 Leilani is the Owner and Operations Manager of Worldmaster International Travel based in Quezon City for inbound and outbound and with branches in Aklan, Iloilo and London,UK. Apart from the travel agency, Dr. Agana also operates Medimore Pharmacy, retail pharmacy since 1996; a property leasing, Agana Realty and Development Corporation; Pharma Gems Transport that operates 18 units of passenger jeepney since 2000; Artista Salon operating since 2007 and CLF New Life Christian School since 2010. Multi-talented multi-tasker Gel has been with Travelife since its inception and has been one of the major players in making Travelife the leading travel & lifestyle publication in the Philippines. Being previously involved in other industries, it made Gel a great asset of Travelife in terms of generating ideas, tapping an extensive network, and getting the record number of ads for the magazine. Rose is the President and Owner of Ephesus Travel and Tours. She has assisted thousands of pilgrims to the Holy Land and Religious sites of Faith in Europe and Middl East since 1996. 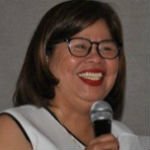 She was the appointed Tourism Head of the Philippine- Israel Business Association from 2005-2006; a Founding Member of the Israel Chamber of Commerce of the Philippines and a Corporate Secretary and Board of Trustees in 2011-2012. She also served as the National President of NAITAS (National Association of Independent Travel Agencies Philippines, Inc., November 2010-November 2012 and an active member of Tourism Congress of the Philippines and Pacific Asia Travel Association) Philippine Chapter- 2017. Among several recognitions, she was awarded the Israel Ministry of Tourism King David Club Awardee for Bringing in 150 pilgrims to Israel and Initiating the Groundbreaking of the First Philippine Monument at Rishon Lezion in Israel Commemorating the 50th Diplomatic relations between Israel and the Philippines and the Recipient Awardee of Rotary Club of Roxas District in 2007 for Achieving Highest Honor in Field of Tourism in Connection with the 50th Diplomatic Relations between Israel and the Philippines. 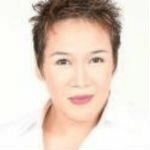 She graduated with a degree on Bachelor of Science in Tourism in 1987 at the Pontifical University of Santo Tomas with Honorable Mention. She resides in Angeles Pampanga and married to Augusto Jose Galang, M.D., blessed with 6 children. For her full bio, please click here. Irene is the General Manager of Boris Travel and Tours since 2001. 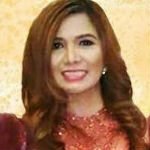 Since 2014 she also serves as the Executive Committee for NITAS (Network of Independent Travel & Allied Services Philippines, Inc.) in Metro Manila and an Executive Committee for TBEX Pilipinas (Travel Business Exchange Pilipinas). She graduated with a degree in Business Administration Major in Marketing from CAP College Philippines Makati. 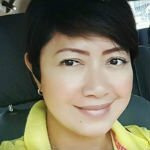 She also has a diploma in Professional Event Management from the Dela Salle College of St. Benilde and is also currently taking up BS Computer Science in Informatics College Caloocan. For her full bio, please click here. René has been in the tourism industry for 36 years, mainly in all aspects of airline operations. 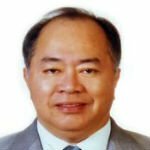 It was under his sales leadership that Philippine Airlines breached its first One Billion Dollar Revenue mark. A brief stint as consultant of Kuwait Airways led to the quadrupling of its revenues in the Philippines. As an active director in the board of Philippine Convention and Visitors Corporation for 14 years, René supported every Secretary of Tourism in promoting the Philippines as a tourist destination. For businessmen who dared getting into the airline business, René has put up for them one airline from scratch and revived another from its moribund state. Ners is an entrepreneur and owner of Younique Partners Travel and Tours that provides local and international ticketing, package tours, accommodation resort and hotel, educational tours and company/ group events. She is also an event organizer and wedding planner for P-Ners Events Management. Ners also served as the Chairperson/ Board of Trustee of P2P Sagip Foundation, focusing more of Medical-Dental Free Mission for indigenous Filipino people. 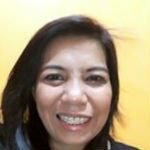 She has a Bachelor of Science in Commerce Major in Management degree from Far Eastern University and is a Professional Licence Teacher Board Passer. For her full bio, please click here. Over three decades hands on experience providing reservations & ticketing services, operational support to travel agency clients & over the counter assistance to individual passengers. 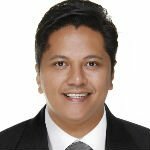 Mike has been in the Travel Agency business close to 5 years now and currently the Chapter President in NCR North of NAITAS (National Association of Independent Travel Agencies. Mike does inbound and outbound travels and focusing on pilgrimage tours. He is married to a medical doctor with two kids. a girl and a boy. Gemma is currently the Representative – Philippines of Asia Tours, a transportation and travel & tourism services company based in Israel. Previously, she was also the Director of Sales and Marketing of Asian Holidays, representing destination management companies from other countries in the Philippines servicing travel agents. She also held a career in the airline industry serving as the Director of Sales and Marketing of Skyjet Airlines and Branch Manager of Zestair. She has a Bachelor of Science Major in Tourism degree from the Polytechnic University of the Philippines. 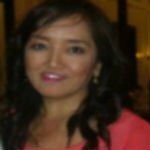 Ligaya is the General Manager of Mediterranean Tour Operators from 2011 to present. She was also the company’s Regional Director for Sales and Marketing for Philippines and Guam from 1997-2000. As the General Manager, she is responsible in delivering and exceeding revenue commitments within the cost of budget by providing excellent and effective leadership and visionary style to the Sales and Marketing Team through effective highly focused value leadership, skills and innovation. She also represents the company in Travel Trade associations (PTAA, Women in Travel BATA, ATTAP) and working group panel. 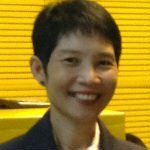 She also held positions at Gulf Air and Iraqi Airways – General Sales Agent in the Philippines as well as at the Philippine Travel Bureau Inc. She is an active member of organizations which includes a seat with the board of Women in Travel from 2009; PTAA; Bulacan Agents Travel Association; ASTA – Philippine Chapter and SKAL – Philippine Chapter. For her full bio, click here.